Franklin Legacy Financial’s mission is to help clients to reach their financial goals and objectives through a long-term financial planning relationship. Franklin Legacy Financial, LLC was founded in 2014. Franklin Legacy Financial provides personalized confidential financial planning and investment management to individuals, trust, estates, charitable organizations and small businesses. Placing the interest of clients first. Providing professional services with integrity and diligence. Committed to life long learning. Being a good citizen in the communities being served. Identify and Priorities Objectives - Identify your financial goals and prioritize them. Analyze & Evaluate Financial Status - Explore various strategies to achieve goals. Develop Financial Plan - Choose financial strategies that work for you and your family. Implement - Start immediately so that savings have time to accumulate. Monitor Plan - Regularly review progress and adjust. Investments can play a key role in your financial security plan. The correct mix of investment based on your tolerance to risk and time frame can help you achieve your goals. Financial planning today has taken on many new dimensions that never had to be considered by earlier generations. Learn more about Michael Franklin. Michael has over 14 years of experience working in the financial services industry. Prior to founding Franklin Legacy Financial, he was for 6 years a Client Representative with BNY Mellon/Pershing in Asset Services and Global Clearances servicing institutional clients. Prior to BNY Mellon/Pershing, he was with CNL Securities Corp. as a Sales Relations Representative helping his team to deliver alternative investment solutions such as real estate investment trusts, private placements, and mutual funds to broker/dealers. Prior to CNL Securities Corp. Michael was a financial advisor with UBS Financial Services, Inc. He graduated from the University of Central Florida with a Bachelors of Science in Health Services Administration. He holds a Series 66 and Life, Health & Variable Annuities License. Michael lives in Oviedo, Florida with his wife and three children and is an active member at Most Precious Blood Catholic Church. 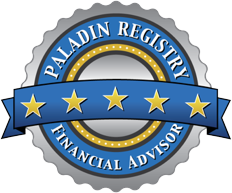 This financial advisor scored in the 90th percentile or higher when Paladin Research rated the quality of the advisor's credentials, ethics, business practices, and services Learn More. All written content on this site is for information purposes only. Opinions expressed herein are solely those of “Franklin Legacy Financial, LLC” and our editorial staff. Material presented is believed to be from reliable sources; however, we make no representations as to its accuracy or completeness. All information and ideas should be discussed in detail with your individual adviser prior to implementation. Fee-based financial planning and investment advisory services are offered by “Franklin Legacy Financial, LLC” a Registered Investment Advisor in the State of “Florida”. Insurance products and services are offered through “Michael Franklin, Sole Proprietor.” The presence of this web site shall in no way be construed or interpreted as a solicitation to sell or offer to sell investment advisory services to any residents of any State other than the State of “Florida” or where otherwise legally permitted. © 2019 Franklin Legacy Financial, LLC. All rights reserved.